Is it 'crockpot' or 'stockpot'? And is it true most brands contain lead? Is there a difference between a crockpot and a stockpot, or can the terms be used interchangeably? My computer's dictionary says that crockpots are electric. So are stockpots basically just their non-electric counterpart? Of more practical importance, I've heard that crockpots and/or stockpots often contain lead. Is this true (of crockpots, or stockpots, or both)? And does anyone know what brands are lead free? No, there's no BPA's in the slow liners. It's made out of a food grade nylon, not polycarbonate. That device looks like exactly what I've been wanting. How do I find this product? (Is it still called a 'slow cooker' and I should just wade through lists of slow cookers looking for this style? Or is it called something else? Or what is the brand name of one that I could look at?) Thanks! Do you worry about the BPA's leeching? I'd like to buy one, but the Amazon reviews make it seem kinda sucky. My current lead-full crockpot is very reliable, whereas the Vita Clay seems to require more care and maintenance. You can't really use a rice cooker for the same things unfortunately. It will probably also season, like cast iron. @ Melissa, it may stain though if you put curry or tumeric it. At least it will look well-used and well-loved. Oh, must be an English word - flex is the cord. the Vitaclay ones look lovely! Too bad they are $$$. I never understood the appeal of glaze anyway. I love unglazed things...no finger smudges! I presume the flex is the cord. I never knew that and always stored the cord inside crock pots and rice cookers before now. So yes, crock pots are electrical and stock pots are their non-electrical counterparts. Here is the story of how crock pots were originally tested for lead. It is generally recognized that most brands do leach small amounts of lead and representatives for most of the leading brands say however, that the lead that escapes does not exceed FDA requirements, (which is anything less than 2.0 parts per million) but considering no one knows what a 'safe level' of lead ingestion is, then, well perhaps it is wise to search out an unglazed product instead. Vitaclay chef slowcookers are made with a lead-free ceramic (they are unglazed). When ceramic ware is heated to just 80c degrees (175 F), it releases nearly 10-times the amount of lead as a plate at room temperature. (Something to keep in mind when you heat food in the micro-wave on ceramic dishes.) Crock pots can heat up to more than 250c degrees/480 F -degrees. from here. If you use a crock pot regularly and are still worried about lead ingestion, sprinkle raw chopped cilantro on the top of any dish you make; this helps to chelate lead (and other heavy metals) from the body. btw: lead is also found in the flex/cord, so it should never be stored inside the crock pot when not in use and wash your hands after handling it. Crock-Pot: A trademark for a particular brand of slow-cooker. Slow cooker: A pot hooked up to a heating element with the idea that you put stuff in the pot, plug it in, and then come back 8 hours to awesomeness. Stock pot: Just a really big conventional pot for making large amounts of stock, soup, etc.. I don't know anything about the lead issue for slow cookers. A stock pot is made from the same materials as any conventional pot so I don't see any reason to expect stock pots to contain more lead than any other pot or pan of the same material. Regarding cookware in general, there have been lead issues specifically with ceramic cookware in the past but newly manufactured, US-made ceramics should be safe (though expensive). Has anyone tried the Vita Clay? It claims to be lead-free. It’s just not enough to check for lead by rubbing the test paper. You will be only able to know of the presence of surface lead by following this method. what is more dangerous is the less obvious and more damaging lead that is chemically bound in the cooking material itself like in glazes with ceramic and other types of cookware or other metal ware. That kind of lead you can only test by sending a sample of the food you cook in the pot to a university lab that do food testing (is kind of expensive) to know if the chemically bound lead is leaching into the food with heat acting as a catalyst. The safest thing is to buy pots made of pure earthenware clay and that which is not contaminated by glazing. Some manufacturers test their raw material and can guarantee its lead and cadmium free. get a crock insert from them and you're all set. Some ceramic pots do not have lead--there is a list if brands if you Google it, and my old Hamilton Beach which was a wedding present is lead free. I see them all the time at thrift stores. I would avoid at all costs cooking in a non-stick pot or in a plastic cooking bag. Plastic compounds will leach out into your food, especially with long cooking. Some claim this is not a problem, but these plastic compounds are being found in our urine, blood, and breast milk where they clearly don't belong. 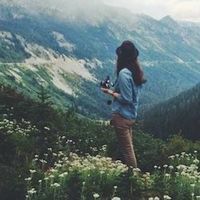 It may take a few generations for us to recognize all the harmful effects. Recently we purchased an electric pressure cooker with a stainless steel pot (Instant Pot). This may be used as a slow cooker, too, but it is great for bone broth made with pressure cooking. I have never had such beautifully gelled, clear, and flavorful broths by any other cooking method. It takes about an hour, just dump the ingredients in and press the button. set of 3-hand made clay cooking pots (2).jpgI have the Miriams Earthen Cookware, pure-clay cooking pots. They're not only Lead ‘FREE’, they don't HAVE ANY lead at all. Their raw material is tested so they can guarantee its purity, there's no heavy metals either leaching into your food… I love their pots and they come in different sizes and can fit many (round) electric slow cookers... I’ve even cooked with their large size on a solar cooker at my friends place and the food came out excellent. Because of the nature of pure clay, the food tastes exceptional and is very healthy too. I’ve used their pots on the stove top and in the oven for baking. Here is a picture of their set of 3 from their website (with permission from MEC). They are 1005 nature crafted into cooking utensils, the orange-reddish color is the natural tint of the clay itself (there’s no glaze) I totally love these pots and I think every healthy kitchen should have them!! I use the Reynold's plastic slow cooker bags to cook in. I'm guessing that helps protect against any possible lead (which is news to me). However, the real reason I use it is because I hate freaking cleaning the porcelain liner... Tossing a bag is so much easier. I looked at this issue. Most of the slow cookers have the California lead label warning on them. I bought a Sanyo Rice Cooker/Steamer (ECJ-HC100S ) from Amazon. It uses a titanium bowl. I'm happy with it. The practical uses are slightly different. 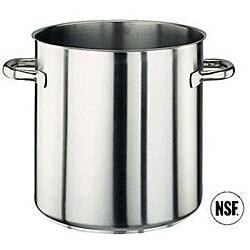 A stockpot can be used at higher temps and for making soups. Since they are not self-contained, they need to be monitored, especially if you have kids, A crockpot, or slow-cooker, can be left on low all day. I use mine to cook whole chickens. They come out very tender and the cartilage all melts making a rich, flavorful sauce. I use the stock pot for things that I want done in less than 4 hours, like chili or a quick spaghetti sauce. A shallow one can be used to brown meat and then put in the oven to cook; I did this to make Ossobuco a few days ago, slow cooked goodness. I'd just like to add that there is another variety of slow cooker which doesn't seem to be terribly common. This type utilizes a slightly dished heated base and a metal cooking vessel (typically aluminum with a non-stick interior). It can theoretically be used to brown the meat on the stove and then go straight to the base without the bother of dirtying another pot and transferring. 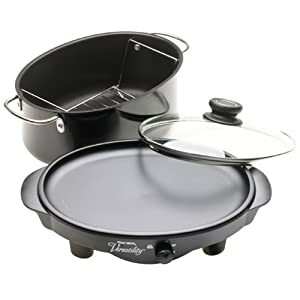 I have this type and have found that it works very well as a cooker, but don't really use it on the stove as the metal is thin and would probably warp easily with moderately high heat, in addition to the dangers of overheating the nonstick coating. Although I've never used it as such, I believe that the base could be used as a small nonstick griddle.